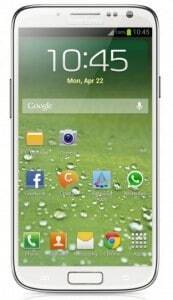 Right now, Samsung Galaxy S4 is one of the most expected devices in the Smartphone market. Numerous rumors have gone out saying this and that about the next Galaxy device. This time, it’s a rumor about the sales numbers that Samsung is expecting from this device. A report made by a Korean website Money Today, states that Samsung ordered 10 million components per month from their subcontractors. This translates in the fact that Samsung expects to need 10 million Galaxy S4 devices every month. A statement related to this regards the expected annual sales that Samsung wants for 2013: 500 million phone out of which 350 million are smartphones. Here are the rumored specs of Samsung Galaxy S4: 4.99” screen, an 8 core Exynos 5 Octa processor, an 8 core Mali-T658 GPU, 2GB of RAM memory, a 2600 mAh battery, 2 megapixel front-facing camera and a 13 megapixel rear-facing camera. The phone should come out running Android 4.2.1, but this are just rumors as we said. We’ll have to wait for more details about this.